Glenn Katon has been a trial lawyer and litigator for over 20 years and focused his practice on civil rights for the last 12 years. He is driven by his passion for addressing the injustices regularly inflicted on people by the government, police, big corporations, and others who abuse their power. Glenn has tried more than 15 cases and handled numerous appeals, including argument in the the U.S. Courts of Appeals for the Ninth and Eleventh Circuits. He has litigated cases spanning police misconduct, racial profiling, religious freedom, immigrants’ rights, and free speech. Many of Glenn’s cases have challenged high profile civil rights abuses and he has been quoted in the New York Times, Wall Street Journal, Washington Post, Newsweek, The Huffington Post and St. Petersburg Times, among other publications. As Legal Director at Muslim Advocates for four years, Glenn oversaw impact litigation advancing the civil rights of American Muslims and led legislative and administrative advocacy against racial and religious profiling. He was the lead attorney who developed the first federal court challenge to unconstitutional surveillance of American Muslims in the Northeast by the New York City Police Department. 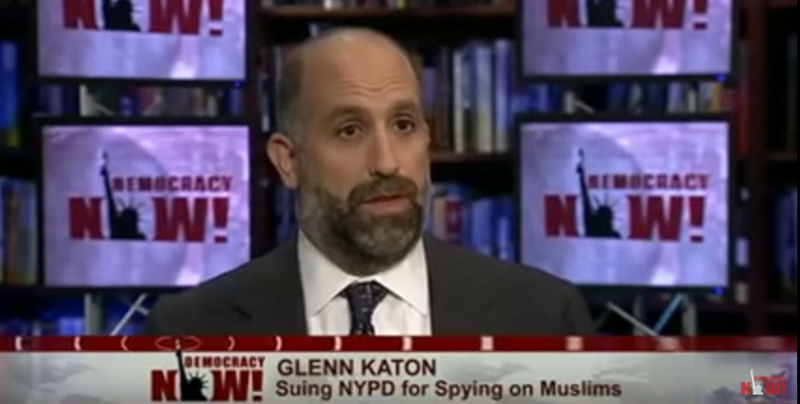 Glenn was also a lead attorney in an important free speech victory against the New York Metropolitan Transit Authority, winning a preliminary injunction for Muslim comedians to run advertisements for their film in the New York City subways. Glenn has guest lectured at Stanford Law School, University of Florida College of Law, University of San Francisco School of Law, and Florida A&M University College of Law. Before focusing on civil rights full time, Glenn was a shareholder at Bush Ross, P.A. and an associate at what is now Locke Lord LLP, a trial attorney for the U.S. Department of Justice, and a law clerk to the Hon. Terry R. Means, U.S. District Judge for the Northern District of Texas. Tarina Yasmoothr Larsen is a paralegal at Katon.Law. She has been a paralegal and advocate for disability, homeless, and prisoners’ rights for almost ten years.